I would like to order a caricature of the attached pics. The end product of the caricature would be a combination of the 2 pics ie. a pic of the person in front of the military vehicle (background). 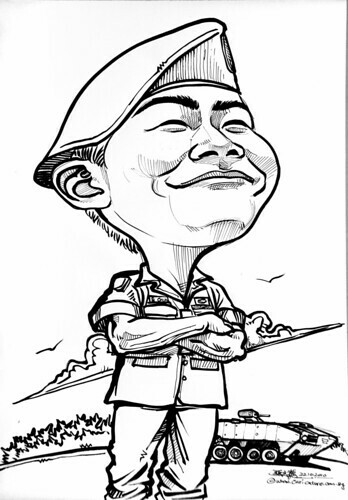 I would like to request the caricature in ink (b/w)...."